The first half of 2012 saw a continuation of the Welcome to Fin Land Tour from the previous year. 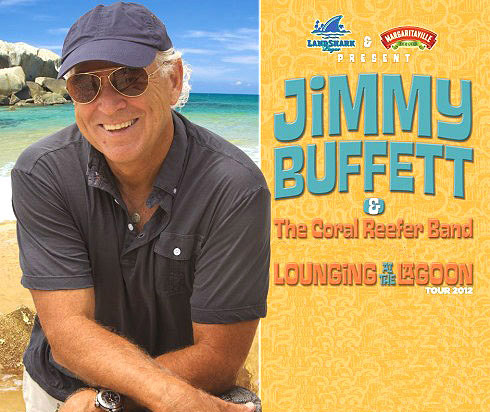 Jimmy Buffett and the Coral Reefers hit several stops that hadn’t had shows in years, including Birmingham, Little Rock, Louisville, and Des Moines. The Lounging at the Lagoon Tour officially started in Austin, TX in May. Stops off the beaten path included Atlantic City, The Fillmore in San Francisco, Boise, and Seattle. Buffett also played at the New Orleans Jazz Festival and at the opening of the Margaritaville Casino in Biloxi, Mississippi.